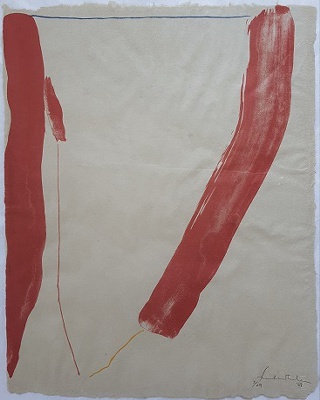 Sheet size: 31" x 23.5"
Frankenthaler was an American abstract expressionist painter. 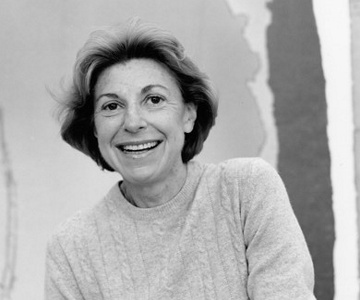 She was a major contributor to the history of postwar American painting. 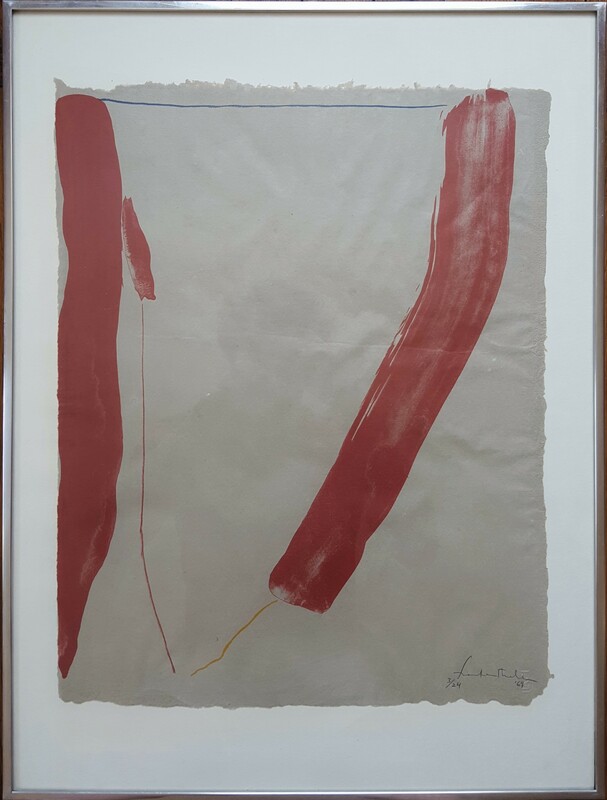 Frankenthaler began exhibiting her large-scale abstract expressionist paintings in contemporary museums and galleries in the early 1950s. She was included in the 1964 Post-Painterly Abstraction exhibition curated by Clement Greenberg that introduced a newer generation of abstract painting that came to be known as Color Field. 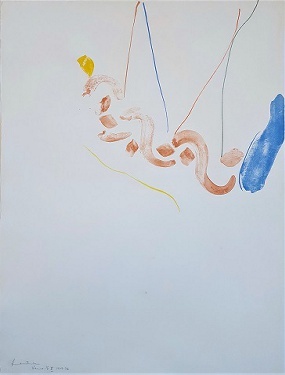 Born in Manhattan, she was influenced by Greenberg, Hans Hofmann, and Jackson Pollock's paintings. 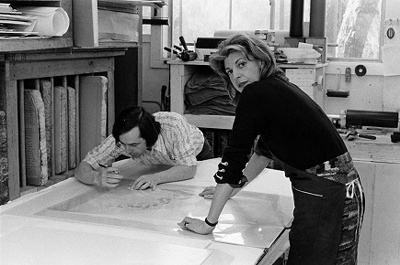 Her work has been the subject of several retrospective exhibitions, including a 1989 retrospective at the MOMA in NYC. In 2001, she was awarded the National Medal of Arts. Frankenthaler and printer Bill Goldston working on "Venice II" at the studios of Universal Limited Art Editions, West Islip, NY 1972. Image copyright of ULAE. Title: "A Slice of the Stone Itself"
Sheet size: 19" x 15"
Framed size: 24.5" x 18.5"